Some lawyers are very collaborative and good at settlement, and others are good at litigating. Some have more experience than others in family law practice. Some have been practicing for many years and have what I call the “old school” approach to representing people in divorce (prepare to litigate! ), and others refuse to do anything but collaborative cases. Ultimately, the decision you make about your divorce process (collaboration, mediation, litigation) should impact the lawyer you hire to help you out. And if you are on the fence about pursuing a divorce, having a consultation with an experienced divorce lawyer will help you understand the process, the costs, and the possible outcomes. It’s important to find someone who is experienced in family law. Would you ask your family doctor to operate on your heart? Probably not. Even though he likely knows about cardiac surgery, he doesn’t have the expertise to do heart surgery. It’s the same with your divorce. 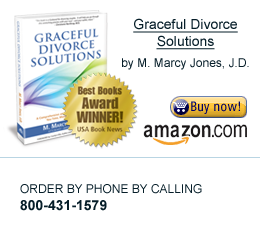 Your divorce is important, and how it goes will significantly affect your future. You want someone who knows the tricks of the trade. It’s also important when choosing a lawyer that you feel there is a good fit. You should feel a connection and a mutual understanding with the lawyer you hire. Just like picking your physician, dentist, or therapist, or even your church, you want to make sure you choose the one who feels right to you. If you aren’t feeling a connection, don’t hesitate to seek a second or even a third consultation with other lawyers. Regardless of the process you choose, getting divorced is a very difficult and personal experience, so your lawyer should be someone you trust. He or she is your partner through this process. You need to have faith in his or her ability to help you get to where you want to be. The key to getting the right lawyer for you is finding someone you can trust, rely on, and who will be your advocate, regardless of the process you are using. Stay tuned for Part II of this series for Four Tips to consider when deciding on the best lawyer for you!